CBitSoft Ltd was incorporated in February 2002 in preparation for the planned release of the legal profession Case Family systems as well as other software products that the company has developed, and also software that has been planned for development in the future. The companys head office is located in East Anglia but we have divided the country into many regions and formed a nationwide team of consultants, each responsible for their own region, led by a general manager; and it is their task to contact legal offices and other organisations, working with them to establish solutions to improve the efficiency with which they work, through the implementation of the appropriate software systems. 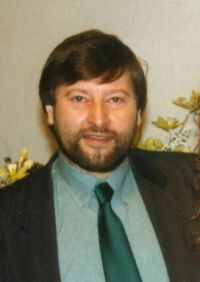 Colin Blakemore; the Managing Director of the company, has over 39 years of programming experience and has been responsible for the development of the companies products to date; these having been developed over the past 20 years, including the three years immediately prior to the formation of the company. For this three year period he traded successfully as CBIT Services, providing bespoke software development, website development and hosting together with general IT services. The new company, CBitSoft Ltd, already has many new customers and continues to offer website development and hosting services as well as software training relating to its products and other services many of which are aimed specifically at the legal community. We no longer offer general IT services, though we can put customers in touch with other suitable companies for this sort of work. Systems originally designed and developed as bespoke systems to match the requirements of a leading national conveyancing company have been further developed and refined during the last few years leading to the Case Family as it now stands. During the development of the Case Family it became apparent that we needed the ability to control user licences for our software and, since a suitable control did not already exist which would fit the bill, we produced the ShareBlock development ActiveX control. ShareBlock is now used in all our products and has also already been sold to several other software development companies who have recognised the benefits it has to offer. CBitSoft Ltd feels that this control is now ready to become a major player in the software-licensing arena and have therefore turned their attentions towards marketing this system in earnest. CBitSoft Ltd is also planning many additional ActiveX controls for the software development community to fill gaps in the current market in the near future. A new software development team is being planned to implement the plans for updating and continuing the development of ShareBlock and the Case Family systems in response to feedback from our customers, and also to develop other systems for the legal profession such as a full Practice Management system and other modules, which will integrate with the existing Case Family products to provide additional management of other types of cases as well as accounts facilities, etc. The company sees the Case Family system as the nucleus of a highly sophisticated and advanced practice management system that will grow in response to their customers requirements. We will also be developing systems for other professions as well. All our systems have been, and always will be, designed to be flexible and future-proof as far as possible, and upgrades are planned on a regular basis to move the Case Family system closer towards the goal of a complete integrated practice management system. Similar systems will be developed and perfected for other professions in due course. The Managing Director by whom the company is run. A team of software consultants allocated to regions as identified on our regional map. Our head office is currently located in East Anglia; Holland-on-Sea in Essex. However, our team are located in their home regions around the UK. Please click here for details. We are still looking for experienced software consultants to join our team in several areas of the UK and Republic of Ireland, and also looking to develop markets in the rest of the world. If you are an experienced software consultant, or a sales professional with experience in direct sales, and you may be interested in joining our team please contact us. Send mail to Webmaster@CBitSoft.com with questions or comments about this web site.